Don Putnam (l) and Owen Vellos (r) and the donated gurney. The Dr. Otto Rodriguez PolyClinic II is in possession of a brand new Dynamed Hare Any-Level Cot Stretcher Gurney. The donation took place on Tuesday February 7th at 2PM. The donation to the value of $700.00 was made possible through the efforts of Island Pool Supply – who facilitated purchasing and shipping and Cayo Espanto Island Resort, which provided the funds. Initial efforts to obtain the stretcher started in early December 2011. After weeks of bidding and monitoring the sale of the item, the Stretcher was purchased. The stretcher was then shipped to Island Pool Supply C/O Hyde Shipping in Florida. According to Owen Vellos, Administrator at the PolyClinic II, the donation is very much needed. Prior to this donation, spine boards, which are very heavy, have been used to transport patients and had to be physically carried. With this new Mobile Cot Stretcher, the job of transporting patients to and from the clinic, within the clinic or even to and from emergency vehicles, will become much easier and will contribute to the efficiency of the PolyClinic staff. 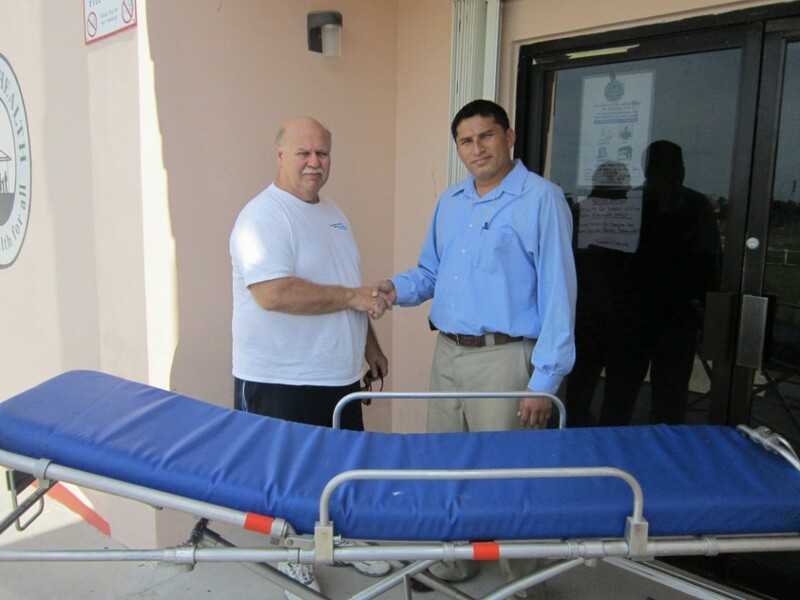 The management and staff of the Dr. Otto Rodriguez PolyClinic II extends a big thank you to Don Putnam of Island Pool Supplies and Glenda Liseth Villeda, Resident Manager at Cayo Espanto Island Resort, without whom this donation would not have been possible.